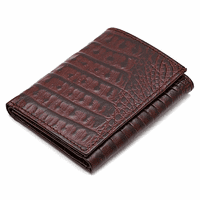 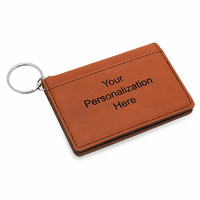 Dalvey of Scotland has over 100 years of experience making fine leather men's accessories. 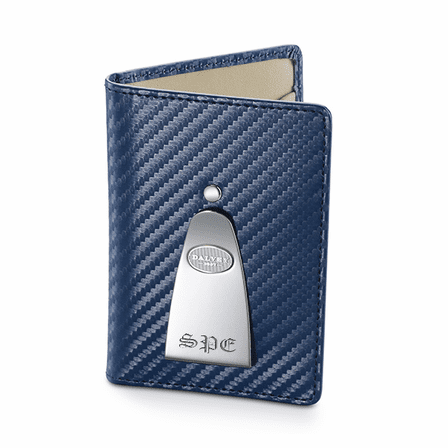 The Continental credit card wallet is perfect for travel, business, and leisure, measuring just 3" x 4", and so flat it can fit undetectably in a pants or jacket pocket.It features a navy blue carbon fiber leather exterior, with a tan leather interior, and holds up to 4 credit card. 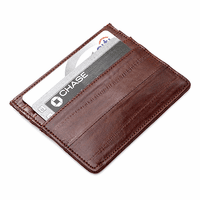 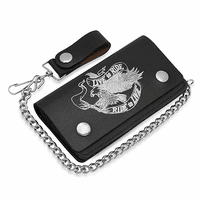 The exterior stainless steel money clip will securely hold up to 15 folded bills. 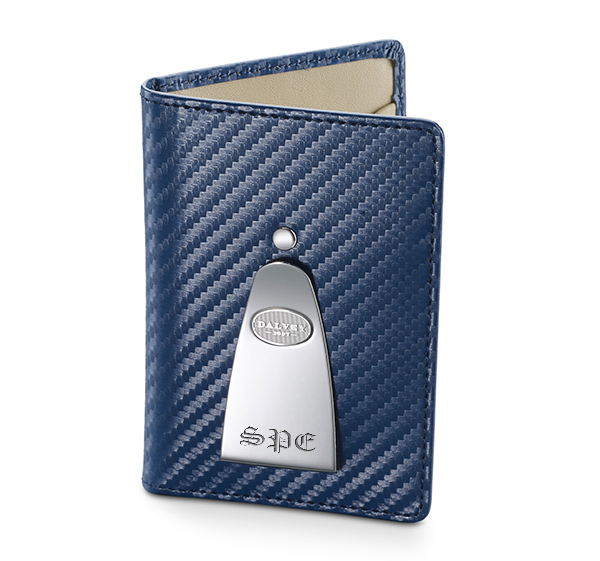 It's elegant, on trend for current fashion, and is packaged in a Dalvey of Scotland gift box!